If you need to extend your car’s capacity, you should consider buying a roof rack or a trailer. In Martec offer you may find a wide range of roof racks, bike carriers, roof boxes and trailers. Roof racks are an indispensable basis for installing bike carriers, roof boxes and other accessories. Some cars have originally installed roof rails which makes the choice of appropriate roof rack much easier. However, some cars do not have these rails and then it is much more difficult to choose an appropriate roof rack. We are specialists and we are ready to help you in any case. Roof boxes let you extend your car’s capacity. However, roof boxes may differ between each other as far as their carrying capacity and capaciousness are concerned. If you are going to transport skis, you should choose a longer box. If you want to transport luggage, pushchair or sport equipment, you should choose a shorter and wider roof box. Ask us for advice! 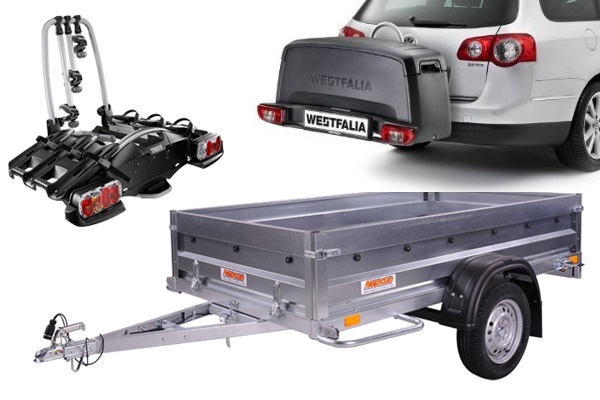 We cooperate with a few trailer manufacturers as for instance Neptun, Tema or Brenderup and we can help you in choice of an appropriate trailer that fits your needs.